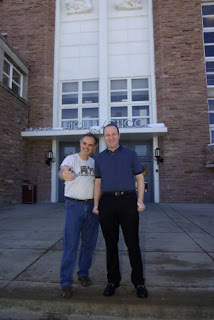 Boulder International Film Festival: FESTIVAL REPORT: "Patriocracy"
Introduced briefly by our very own Congressman Jared Polis, "Patriocracy" screened to a large crowd that was bright-eyed, bushy-tailed and ready to face issues at 10 a.m. at the Boulder High School. The opening was a cacophony of voices from Congress expressing frustration and refusal to compromise. With a nostalgic visit to the 2008 inauguration, the movie then delves into the central issue, that Congress has not been this divided and partisan in over 100 years and that the large majority of Americans are unhappy with the dysfunctional government. "Patriocracy" gives us a brief history of how we got so divided, as well as a blow-by-blow of the last few years of hyper-partisanship -- including the debt-ceiling debacle, Congresswoman Gabrielle Gifford’s shooting, the ratings agency’s downgrade and the Citizens United Supreme Court decision. Denver filmmaker Brian Malone does this through a wide-ranging slew of interviews with media personalities, academics, advisors and former and current Congresspeople, many of whom provide some priceless quotes. Just when we are about to lose all hope, Malone brings us some glimmers. He starts with the 250,000-person Restore Sanity event in which John Stewart and Stephen Colbert gave people a forum to express displeasure with the current political environment and ideas for more reasonable approaches. He also provided some concrete, pragmatic changes being suggested by former Oklahoma Congressman Mickey Edwards and current Tennessee Congressman Jim Cooper, many of which were met with applause from the audience. Starting from his ending quote from Thomas Jefferson, “"We in America do not have government by the majority. We have government by the majority who participate," Malone in the ensuing question and answer period stressed that active citizen involvement is the way to make a functioning government. This conversation continued in the packed classroom of the Call2Action where a group of active, informed citizens deftly moderated by Boulder Council Member Macon Cowles came together to go into greater depth with Malone accompanied by his wife and two daughters. Books like Healing the Heart of Democracy by Parker J. Palmer and Robert Putnam’s Bowling Alone were mentioned. Some of the organizations mentioned in the film like Americans Elect were questioned as to whom their backers are. Local actions like the idea of pushing for open primaries in CO (there was debate here), and joining organizations like the League of Women Voters (they take men too) were discussed. "Patriocracy" director Brian Malone and Festival Director Robin Beeck. Malone and his family are taking the show on the road to New York City in early March. They are self-funding a week of screenings at the Quad Cinema starting March 2nd. The films theatrical future depends on these screenings so if you saw the film and liked it or if this sounds important to you then do encourage your NYC friends to attend.